Woodland Public Schools employees and community member volunteers handed out free backpacks filled with school supplies to students from Woodland, Kalama, and La Center School Districts at Woodland Public Schools’ second annual Back to School Bash on Saturday, August 18, 2018. 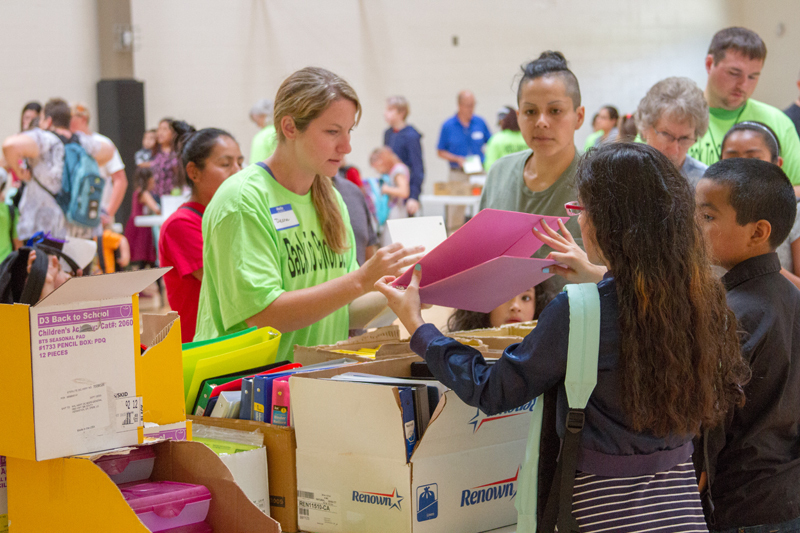 Around 2,000 students, parents, guardians and community members attended this year’s Back to School Bash with 701 backpacks handed out at the event and another 66 given out the week following the bash from the FCRC located at Woodland Public Schools. 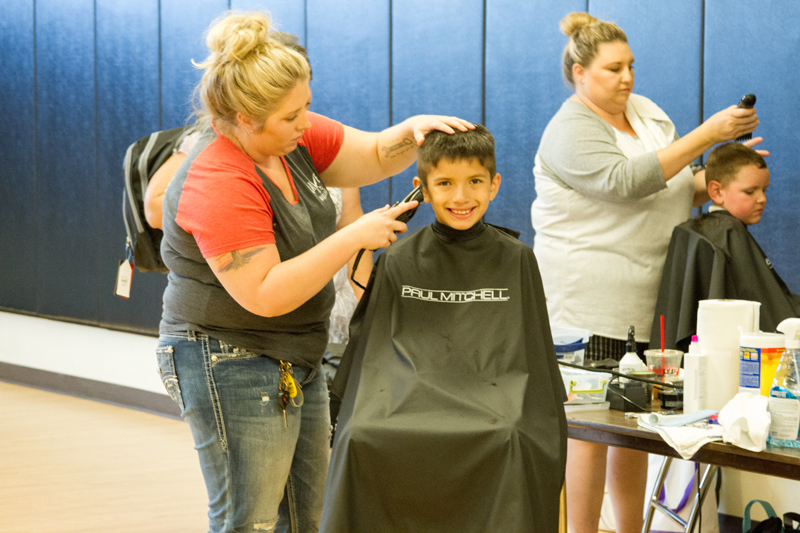 In addition to free backpacks filled with school supplies for all students, every attendee received a free dinner, could get a free haircut on-site, and were able to participate in a variety of board games and other activities including several bounce houses and raffles. 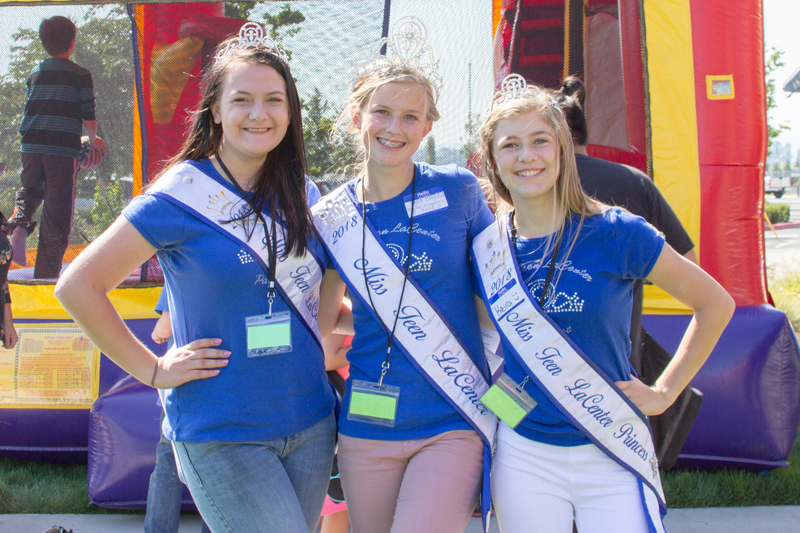 Nearly 175 community members volunteered to help manage the wide variety of activities and events. Representatives from 24 nonprofit organizations and educational institutions helped attendees find assistance locating housing, finding employment, securing medical services, and even distribute free bike helmets to ensure student safety while riding bicycles. The Woodland Public Schools Family Community Resource Center (FCRC) provides resources and services to students and their families in need who live in either Cowlitz or Clark counties. 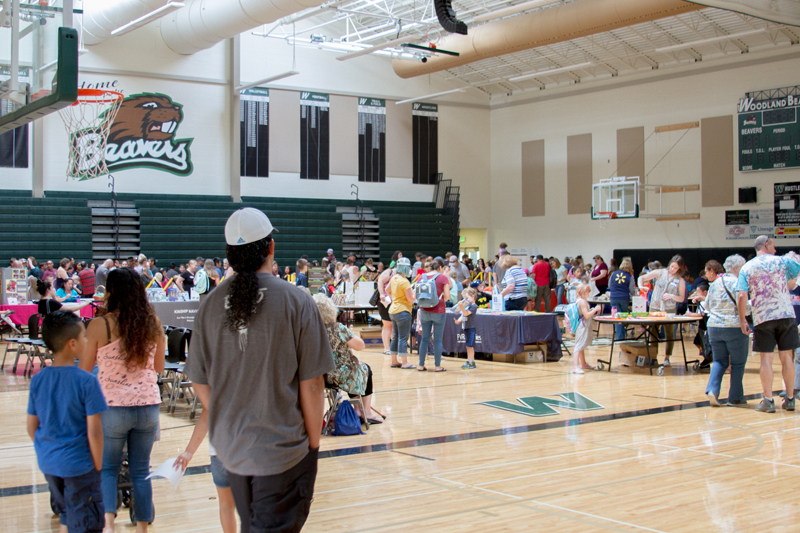 To find more information about services offered by the FCRC or to find ways you can support the FCRC, you can visit the Woodland Public Schools website at www.woodlandschools.org or use the short-link https://goo.gl/medfxJ, email Leslie Mohlman at mohlmanl@woodlandschools.org, or call the FCRC at (360) 841-2718. If you would like to subscribe to receive Woodland School Weekly stories in your email, simply click this link . You can unsubscribe at any time, and Woodland Public Schools will not share your email address. Copyright © Woodland Public Schools 2019. All rights reserved.